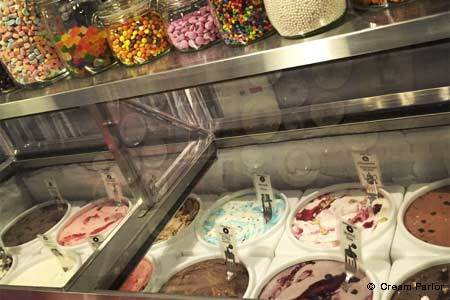 Old-school creamery churning out homemade ice cream with all the fixings, as well as panini, wraps, tartines and salads. : Husband-and-wife team Ainsley and Johnny Tsokos are feeding the neighborhood at this mom and pop style creamery and parlor. The menu includes avocado and spinach tartines drizzled with honey sriracha; warm curried chickpeas with fresh cilantro; must-try tuna melts; and desserts in the form of colossal ice cream sandwiches, donuts and other confections.